"In school, I also had a great interest in dairy cows. It was most fun to visit farm after farm in the surrounding countryside. To this day, I love to visit the idyllically beautiful rolling hills of Lancaster County, PA. It carries me back to those student days." ​Dr. Henry Fierman is a life-long New Yorker. He is a graduate of Erasmus Hall High School and Columbia College in New York. He received his veterinary degree, with honors, from the School of Veterinary Medicine of the University of Pennsylvania. Immediately after graduating, he did his small animal internship at the Veterinary Hospital of the University of Pennsylvania in Philadelphia. He returned to New York and has been the director of the Cathedral Dog & Cat Hospital since 1977. 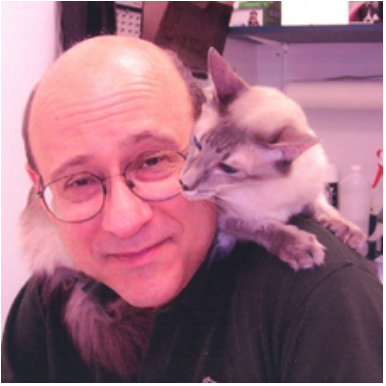 Dr. Fierman is a member of the American Veterinary Medical Association; The New York State Veterinary Medical Society and The Veterinary Medical Association of New York City. Outside of work Dr. Fierman enjoys baseball, Squash, art history, the theater, opera and concerts. He enjoys travel to family in New Jersey, Massachusetts, Vermont and France, but also has a passion for Lancaster County, PA and the Upper Delaware River area. He lives in Manhattan with his Old English Sheepdog named Sky. Sylvia is the primary veterinary nurse and receptionist for Cathedral Dog and Cat Hospital. She has worked here for over 10 years. In her spare time, Sylvia enjoys gardening and taking Kaya to dog runs. She also enjoys family movie nights with her husband, son and daughter Hadahsa, who also works at Cathedral Dog and Cat Hospital. Hadahsa has always loved animals since she was a child. As a teacher and a mentor, Dr. Fierman has always encouraged her to pursue her veterinary career. Hadahsa is now attending Laguardia Community College and majoring in veterinary technology. When she's not studying or working, you can find her playing the keyboard and writing songs. 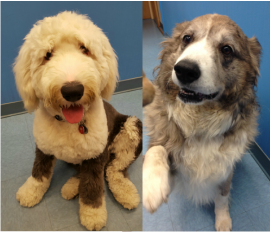 (Left) Sky is a joyful and intelligent Old English Sheepdog who lives with Dr. Fierman. Sky is a recent addition to his family. Sylvia our veterinary technician is the proud pet parent of Kaya (Right) a wise, friendly Australian Shepherd who loves to greet guests at the Hospital. Cross Street: 101st St between Broadway and West End Avenue. ​Hours: *4/5/19 - We have been closed for renovations but will resume regular hours this coming Thursday. Please see above for more details. 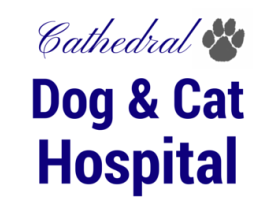 © 2016 Cathedral Dog and Cat Hospital. All rights reserved. Please do not use any photos found within our website. Terms and conditions.